It seems that every year Tulum is getting more and more popular as a destination not only for those seeking yoga and vegan food on the beach, but for those looking to discover something other than nearby Cancun and its endless clubs. This is a quick guide as to what you should (and shouldn’t do) while in Tulum so that you can get the most out of this unique spot down in the Riviera Maya. 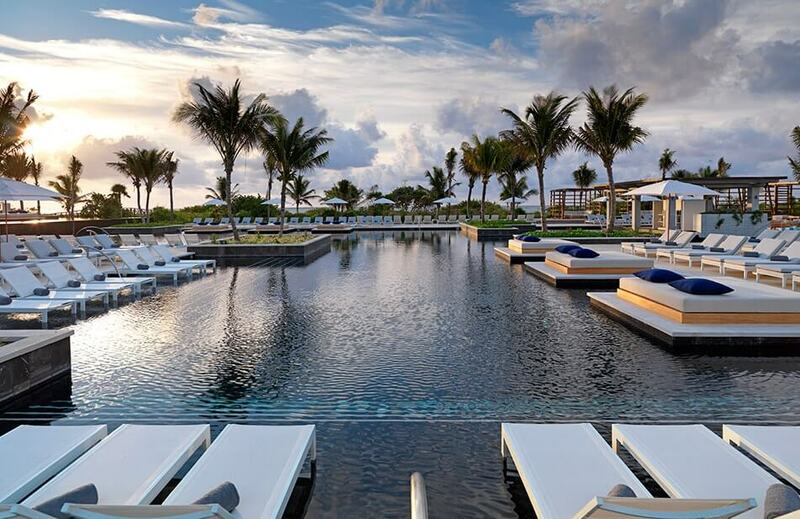 Where to stay: Your best bet is actually to stay just a little bit north of Tulum town, in the area of Riviera Maya. My hotel of preference is the UNICO which is an all inclusive and VERY NEW (as of early 2018) hotel with stunning rooms, some of the most delicious all-inclusive meals you’ve ever had, and service that is on par with some of the best 5-star resorts in the world. However, if you do choose to stay somewhere else, just know that it’s not necessary to stay within the actual town of Tulum as many of the resorts just north of it are within 15 minutes of taxi rides and will often offer better rates and larger accommodations – a win-win in my book. The Unico 2087, it’s every bit as nice as it looks. What to Do: There’s three main things to do in Tulum. There’s obviously more than that, but the first is to visit the old Mayan ruins. Now, normally I don’t like tourist traps, but the Mayan Ruins are certainly worth seeing and so unique to this area of the world and so well preserved that they’re definitely worth a visit. Just know that during the middle of the day there is ZERO shade and it gets quite hot. I would recommend using a tour guide from your hotel or a local service as they know the quickest routes in and out of the place to make the whole experience a bit more fulfilling. 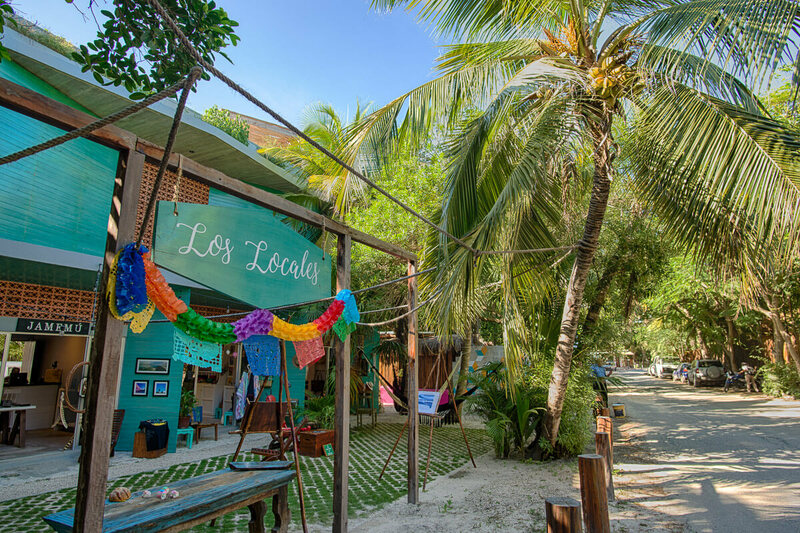 The second thing you want to do in Tulum is just browse the actual town of Tulum. The main “row” is essentially a quaint one street town with a road and palm trees overhanging it. On both sides there’s hotels, stores, and a ton of shopping. You could easily spend a few hours just perusing this area and going in and out of spots. Many of the hotels here are worth visiting just for a few hours for a meal or for a day fee to use their “beach clubs”. Of particular note worth visiting is Habitas. This is the main street. Stroll it. Cenotes: The third thing everyone must do is visit a Cenote (or a few). These are essentially natural water sinkholes which double as swimming holes and are specific to this region of Mexico. These are amazing for their crystal clear water and incredible diversity of fish and turtles just hanging out. There are a TON of Cenotes in Tulum but there’s one in particular that is definitely worth visiting and it is called the “Cenote Dos Ojos”. Now there’s a bit more to this – when you visit Cenote Dos Ojos be sure to take the ride towards the back of the Cenote park and explore the myriad of Cenotes that are beyond just the initial one at the entrance. Most people make the mistake of just going to the first one they see and miss out on exploring the more intricate caves that are deeper into the Cenote Park at Dos Ojos. Where to Eat: Tulum is very much a food destination, with some calling it a rival to Mexico City, because of Chef’s like Rene Redzepi and Eric Werner who have created pop up culinary feasts in this beach town. There’s a heavy focus on wood-fired foods, local seafood, and Yucetecan inspired cuisine with Mexican influence. Keep in mind, the food here is NOT truly Mexican, and I say that in a good way, because it has its own unique flavor and style. There are quite a few restaurants that one could argue are worth visiting here in Tulum, but the two which I highly recommend are Hartwood and Kin Toh. Hartwood is an original and known for being one of the original high-end wood-fired restaurants – serving locally sourced ceviche and legendary pork ribs. Kin Toh is the place to go if you want equal parts entertainment to equal parts cuisine. 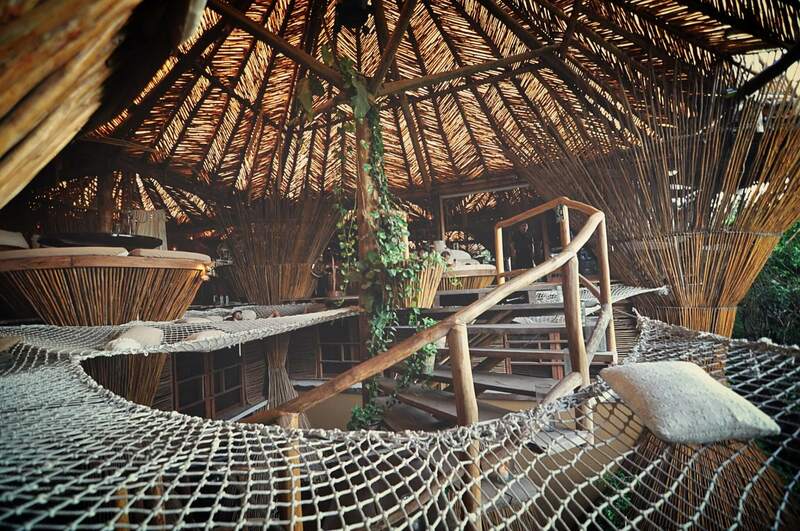 Located in the Azulik hotel, this restaurant is situated in a treehouse, something straight out of Swiss Family Robison or Tarzan with stunning skybridges, tables nested above the nearby forest, and hammocks to lay around in – all 40 feet in the air. The food itself is gastronomic and seasonal, and should you wish to imbibe they even offer a hookah program with imported tobaccos. You’ll want to spend a few hours here at sunset to lounge, relax, and eat and drink slowly. This is Kin Toh. You’ll want to spend a lot of time here.